I assume the answer is yes, so the question is how? Well, to start with do you know what your profits were for 2017? Now that 2017 is finished, do you know what your profits were for the calendar year? If your accounts year end is March, you may tell me that you know what that figure was, but we are nearly round to March again, so what is your year to date figure? Business is ongoing, so your record keeping and review of your figures should be as well. Without this, how do you know if you are covering costs, if you are able to offer a discount, or need to raise your prices? To increase your profits, you must know where you are starting from. Note, I have not said increase sales, like most other people you hear, because at the end of the day it is what you have left after costs that really matters. If you start getting more sales by selling at a loss, you have achieved increased sales, but you end up with less in your pocket for more ‘work’, so looking at costs is also important. 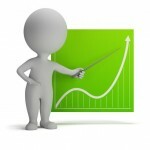 Even, simply, cutting costs can improve your profits. You probably have plans for 2018, have you discussed them with anyone else and had them validated? Who is going to make sure you stay on track? That is what working with a business coach can give you. Someone to help you clarify what you want to achieve and work with you to make sure you do achieve it. Some coaches have ‘proven systems’, but this relies on you having the plans that fit their system. My approach is that each business owner is an individual, so listening and working with them is what is important. Understanding that ‘life’ can sometimes get in the way, but helping you keep focus so you can strike the right balance to still achieve what you want from your business. If you want to know more about working with a business coach to improve your profits, give me a call or drop me a lime when it would be good to call you. Filed Under: Business, Employees, Tax Tagged With: accountant, business coach, Herefordshire, Monmouthshire, wellington consulting. Just take a picture of the bill and the machine will do the rest. Wouldn’t it be great if you just take a picture of the bill and let the machine do the rest. That’s how some people would like to see their book-keeping happen. Although it’s not quite that simple, but it can be nearly that easy. 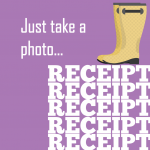 Using an app on your phone from Receipt Bank ©, the picture goes up to the cloud. The picture is then read, classified and can automatically be pushed into QuickBooks, a book-keeping and accounts programme that you have probably seen advertised on TV over the last year. You know your business better than the machine so if it’s guessed wrong or it hasn’t a clue, then you can go through these items and tell it what they are. If you don’t know where they should go in the accounts, I set up a heading called ‘Ask Penny’. I can then go through these items so you, or the system, can get it right next time. What’s the benefit? Keeping your books up to date means you don’t have that elephant in the corner waiting to be tackled that just gets bigger. Another reason is you can make decisions based on facts; another is you can track the bottom line as your business grows. Another benefit is you will be well used to your system when HMRC bring in their Making Tax Digital (MTD) for businesses requiring quarterly reporting and digital book-keeping. Each transaction in your system will be supported by a picture of the bill and this is acceptable to HMRC so you won’t have to keep all that paper. Piles of leaves in the garden. 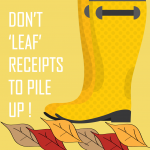 Piles of receipts in the office? The leaves are falling and we are preparing for the colder months. 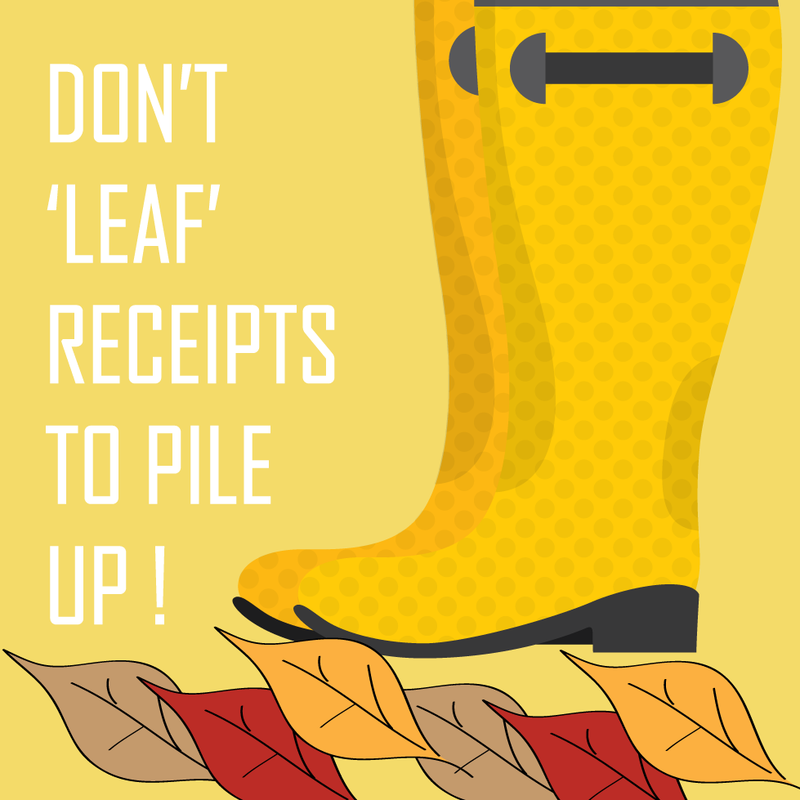 Does this include making sure you have systems in place for recording your businesses receipts and payments? Do you sometimes feel that as fast as you brush up the leaves the wind scatters them about, or do you have a leaf vacuum that gathers them all together leaving a neat looking garden or drive and a contained volume of leaves to file in the compost heap or bonfire. Perhaps your book-keeping is the same. You dip into it on occasions but it keeps escaping. 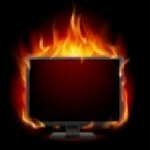 Wouldn’t it be better to have systems in place to capture the information. I am not suggesting you set light to the papers once they have been input, but as HMRC will accept electronic copies of documents now, you could do. 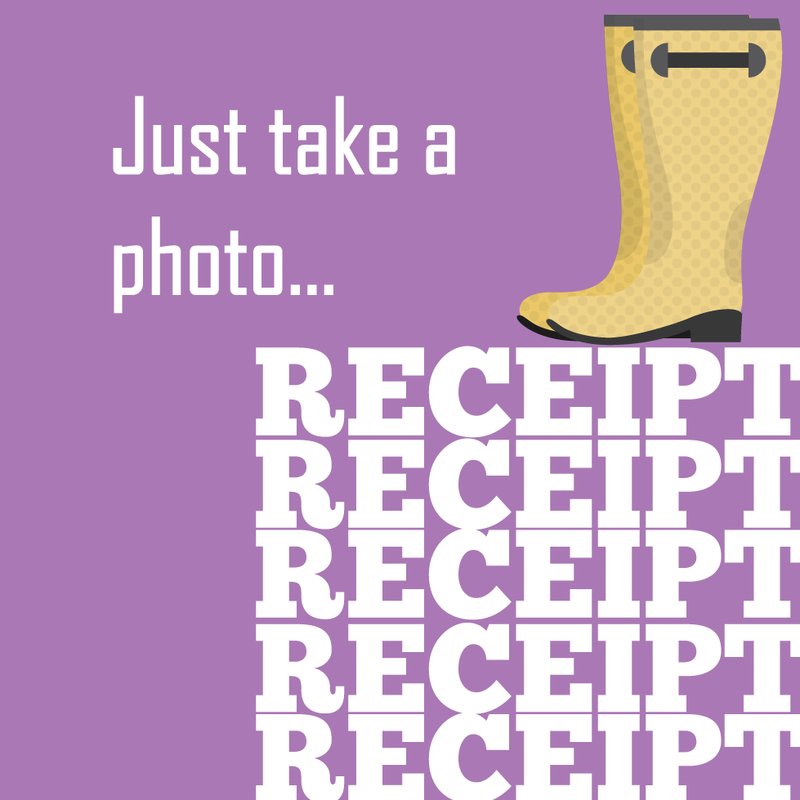 Some book-keeping systems, including QuickBooks, allow you to take a photo of the receipt with your phone and upload it to the cloud. You then tell the cloud what it was for and how it was paid and the software does the rest. Couldn’t really be simpler. The great thing is that you are doing little and often rather than having this elephant that is too big to eat. In speaking to some non-clients, their view is that elephants are not just big and scary but have hidden tricks up their sleeve. What they meant by this is there are some payments that they just don’t know what to do with or how to classify. My suggestion is have a heading of ‘Ask My Accountant’. This means that the payment (or receipt) can be logged in your system with lots of notes to help remind you later and then you can move on. An accountant will be grateful for drawing ‘funnies’ to their attention in this way rather than they be missing, or hidden somewhere. Your accountant knows that, with information supplied by you, the buck stops with them regarding classification and whether an item is tax allowable or not. That is part of what you pay them for. Enjoy your accounts and this will help you grow your business. If you could choose something to improve your business, what would it be? If you were told you had 3 months to achieve this, what would be your first action? I suggest it should be to clearly define what it is you are wanting. Make it your Christmas business gift to help you start the new year with a positive ‘bang’. 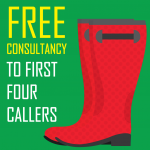 If you don’t know what you want, the direction you need to be taking, and need some help, then Wellington Consulting have a promotion to help you achieve this – A FREE Strategic Review and Planning session for the first four people to book. Usually the charge would be £150 per hour plus VAT for strategic review and planning, but, in association with Wellington Coaching, they want to offer the first 4 to get in contact a free half hour call to help you: whether it is getting your accounts and tax return done so you know how much tax you have got to pay by 31st January (or 31st December is you are a limited company with a March 31st year end); or increasing your sales to achieve the targets you set for the calendar year or getting help so that you can actually take some time off over Christmas, now is the time to start planning and taking action. What are you waiting for? 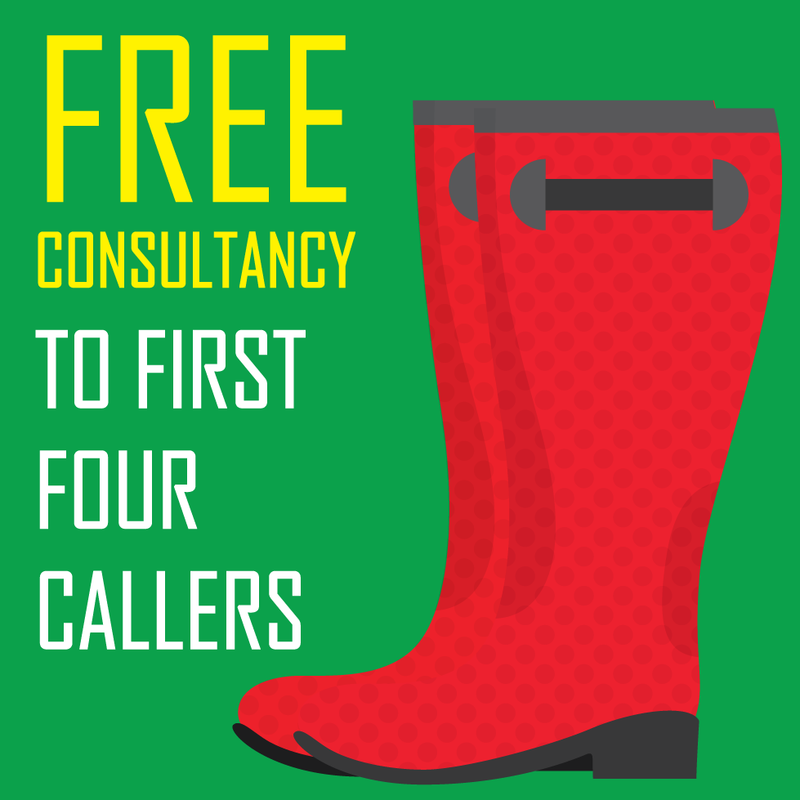 Contact us now for your FREE session. 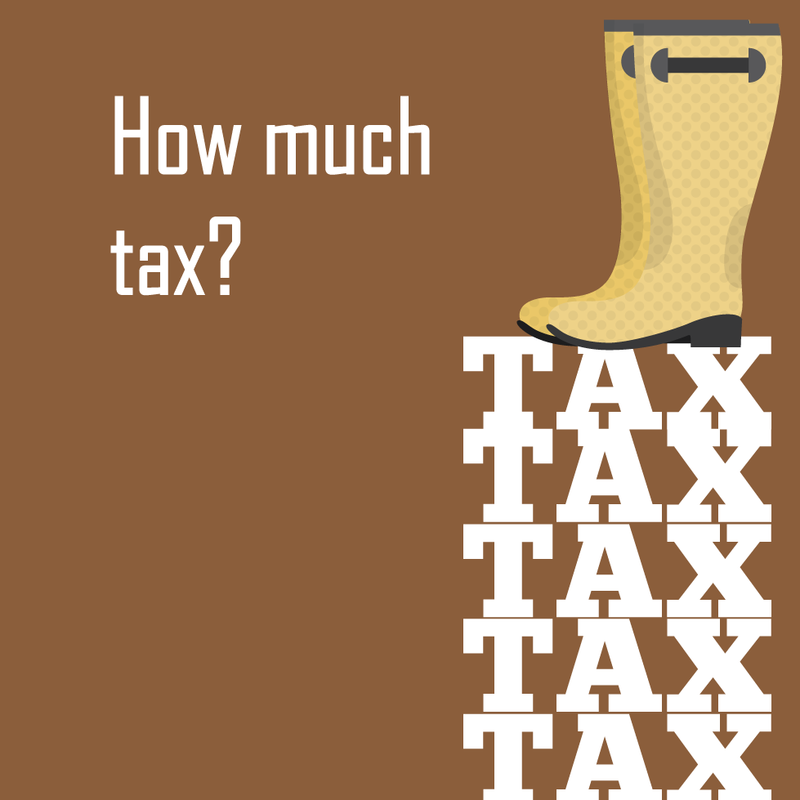 How much tax will you need to pay in January? The truth is, that from 6th April 2017 the calculation could have been done to establish how much tax you are required to pay. 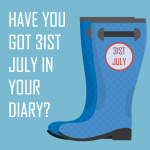 You may have had to wait for statement of interest from savings accounts, P11d forms, if you receive benefits from your employer, or rental statements, if you use an agent to manage your rental properties, but the truth is that by now you should have all the information available to complete it today. If you run a business, you need to know how profitable it is, where costs can be saved or what investment is needed. You need to be in charge. Leaving the calculations until after the end of the year is not good for sustainability. 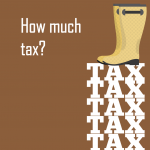 How do you know how much money to put aside for tax, unless you know what profits you are making? How do you know that you are charging enough to cover the costs, including paying you, unless you know what income and costs you have? If you are not up to date now, when will you be up to date? Note: If you prefer to fill in a paper tax return, you have until 31st October to make sure it arrives with HMRC, otherwise it will have to be done on-line. Filed Under: Business, Tax Tagged With: accountant, business, Gloucestershire, Herefordshire, Monmouthshire, Self Employed, tax, wellington consulting. 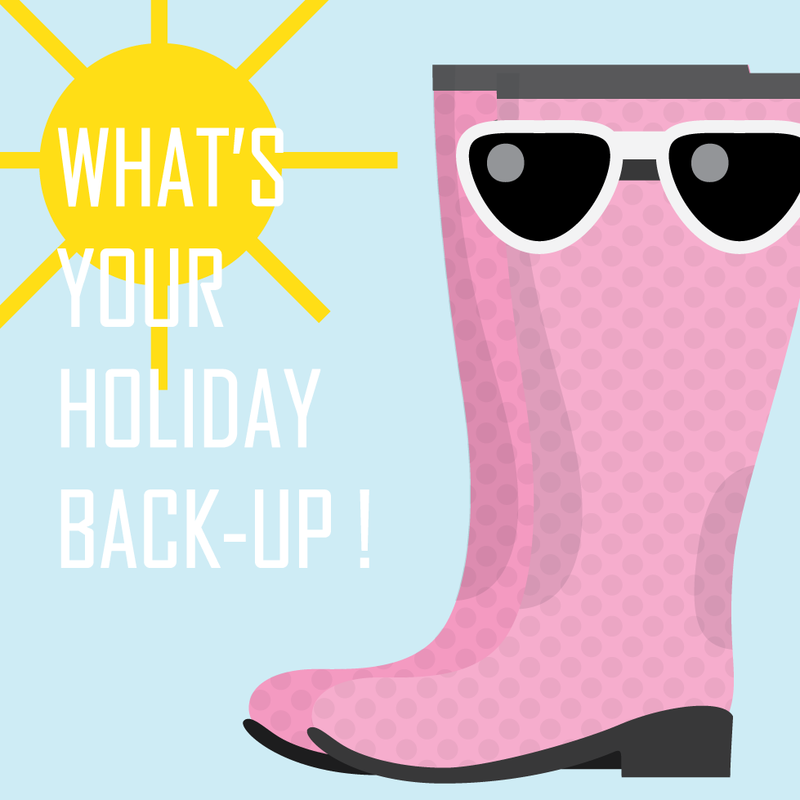 Take a holiday, but make a back up! Many smaller business owners either don’t get round to taking a holiday, but when they do I guarantee that most will take their laptops and iPads with them. But what happens if it gets lost, broken or stolen while you are away? Are the programs you use for work on another computer? Where is your customer list held? Have you made copies of all the information your business needs to operate? Do you back up? And do you keep that back up somewhere safe? I only ask because you really wouldn’t like me to tell you how much it would cost to try and recover or (more realistically) recreate your data. It takes time as well as money and that is without measuring the distress and disruption to your business. At least the costs of recovery would be allowable against tax! On a happier note, the evenings are still light, woolly jumpers are a distant memory and the heating bills are lovely and low. 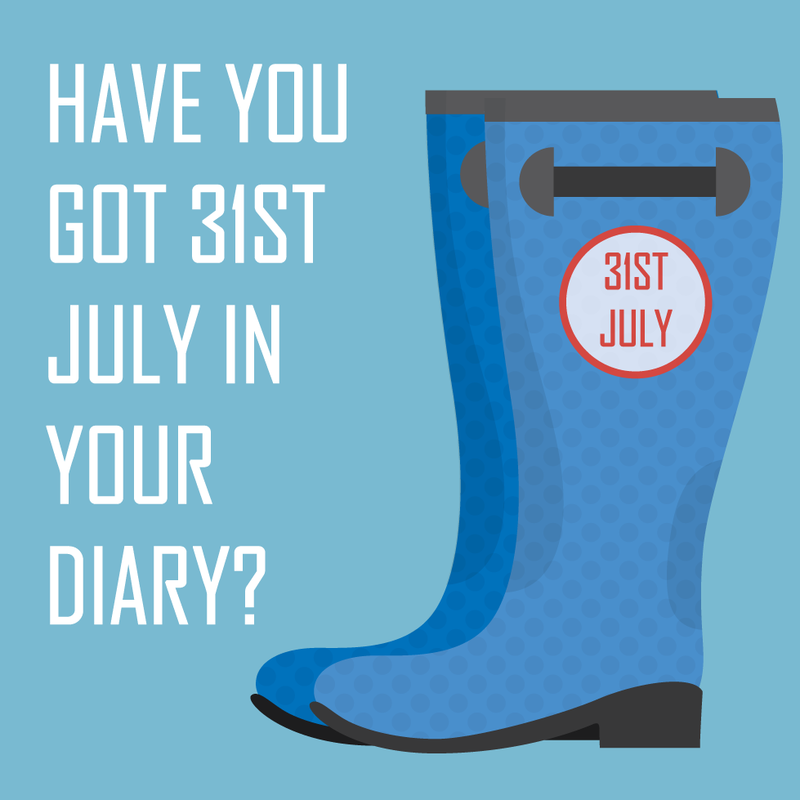 If you haven’t done so already, you still have time to gather together the information for your tax return and find out how much tax you need to pay by 31st January. If you wanted to, you could start paying money to HMRC now so as to spread the cost. And did you know they pay you interest if there is money sitting in your tax account for taxes not yet due? Business Advice From Berkshire : How Easy it it to change accountant? I have been asked this twice in the last week, so I thought I would explain the process. Before changing, decide what you don’t like about the existing one which is causing you to consider moving. It is their fault or yours? This might sound harsh but if you find their bill high, is it the rates they charge per hour or, do you have to be chased and ask them to work miracles with an incomplete box of bills and till rolls? The reason I ask is what is going to change if you change accountant. Another reason quoted for wanting to change accountant is that the existing firm only put together the accounts and tell you how much tax to pay. They do not advise or get involved on a more regular basis. Why is this? Is it because you are trying to keep your bills to a minimum and therefore just asked for the minimum legally required, or is the firm not set up to do more than a production line approach to your accounts? Even if you have decided to change accountant, you still need to answer these questions so you don’t replicate your unhappiness with the next one. Step 1 – Find an alternative accountant who a) you feel happy with and that you find approachable; b) can provide the breadth of services you require; c) has the capacity to take on the work you want doing within the timescale you need d) that is open about their method of charging; e) that can provide references unless you have approached them through recommendation of a friend or business colleague; f) that is a member of one of the accounting bodies. This does not have to be Chartered or Certified (unless you have a big company that needs an audit) but some recognised organisation that you could complain to or contact if you are having difficulties. Mine is the Association of Accounting Technicians where I am registered as a Member In Practice and get checked up on by visits to my practice. I also have a registered ‘understudy’ in case I get run over by a bus. This means clients will get looked after until a long term solution is agreed. Ideally go and visit a couple of accountants so you can compare and contrast. Don’t forget to let the unsuccessful candidate know. Step 2 – Notify your existing accountant that you no longer require their services and give them the details of your new accountant. This gives them authority to disclose the information. Let your new accountant know the details of the old accountant and that they have been notified of your intended move. Step 3 – The new accountant will write to the old accountant asking for all relevant information and if there is any reason that the new accountant should not act for you. The old accountant should then send the new accountant ‘everything’ relevant. They may delay sending the information if there is an outstanding bill. They are entitled to do this. Step 4 – The new accountant will send you an engagement letter setting out what services they have agreed to provide and any contractual type things such as payment terms. You usually have to sign and return a copy. If not already done, you may also be asked to complete a form 64-8. This is sent/submitted to HMRC and gives HMRC the authority to talk to the accountant about your/your business affairs. And that’s it. Your new accountant does what is needed/requested and you pay them. Regarding timing, any time of year is possible but half way through the accountant preparing your annual accounts will cost you a little more as work may need to be done twice. The new accountant may want to redo the bit the old accountant had started. Payroll is better transferred in April but can actually be done at any time. Let me know which of your questions I haven’t answered!